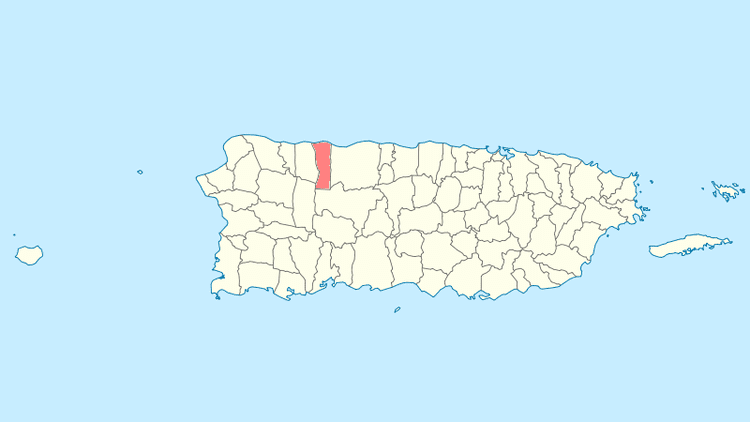 Hatillo ([aˈtiʎo], Smallherd) is a municipality located on the U.S. territory of Puerto Rico's north coast, bordered by the Atlantic Ocean to the north, Lares and Utuado to the south, Camuy to the west, and Arecibo to the east. According to the 2000 US Census Hatillo is spread over 9 wards and Hatillo Pueblo (The downtown area and the administrative center of the city). It is part of the San Juan-Caguas-Guaynabo Metropolitan Statistical Area. Don Agustín Ruiz Miranda, a Canarian immigrant, founded Hatillo on approximately ten "cuerdas" (a cuerda is 0.97 acre) in 1823. Miranda granted this land on the condition that public buildings be erected and wide streets be built, and that the remaining land be sold or used for homes. Today, Hatillo is the major producer of milk on the island and produces a third of the milk consumed in Puerto Rico. Plaza del Norte is a shopping mall located in the barrio of Carrizales. "Las Tradicionales" Hatillo Mask Festival ("Día de las Máscaras") - The Mask Festival began in 1823, and was imported by the immigrants from the Canary Islands, where the traditional festival originated. The early tradition of the festival required that the male population dress as women and they would visit each residence where the owners would offer them food and drinks. Currently the festival is celebrated every year on December 28. The Masks are fashioned and based on the biblical story of King Herod (Herod the Great). The costumes used are very elaborate and the Masks represent the soldiers which were sent by the King to kill all the innocent Christian children of Israel. The festival, however is presented in humor and said soldiers only joke around and ride on chariots. Festival de la Caña de Azucar- May; Very colorful and informative historical festival depicts how SugarCane was cultivated and Transported all around the island mostly on coastal towns from late 19th century through the 1960s. 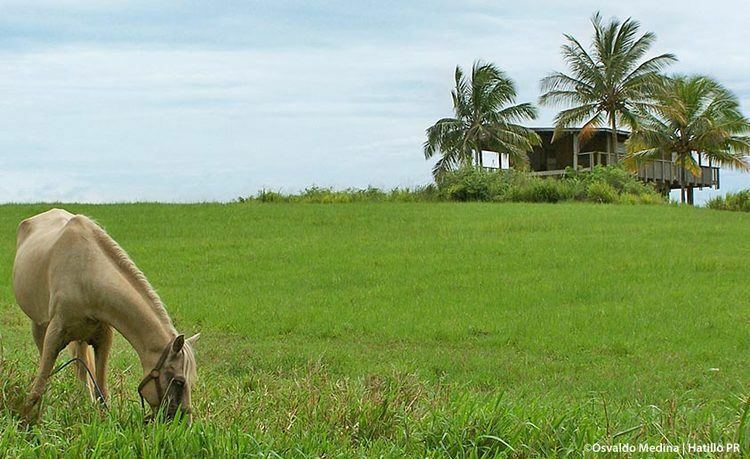 How the Puerto Rican "Jibaro" worked the land to support his family from sunrise to sunset. Matron Celebration - July; Its patron saint is Our lady of Mount Carmel. known as Virgen del Carmen. The patron saint festivities are held during the first 2 weeks of July and always includes the 16th of July in its weeks. The 16th of July is the Virgin of Carmel day, and it is celebrated with great pride and devotion still today. The day of the Virgin, La Patrona, is a very special day on our town with several all- day masses starting at 5 am with lots of penitents and favored-ones of the Patrona. Many people come every year for the High Mass at 3 pm. This mass includes the special procession and carriage of the venerated statue of the virgin through all the town center streets, and a special "trip" over to the near ocean shore by the local fishermen on their traditional boats known as "Yolas", because Our Lady Of Carmel is the Patron Saint of fishermen and it is a special devotion for our city. 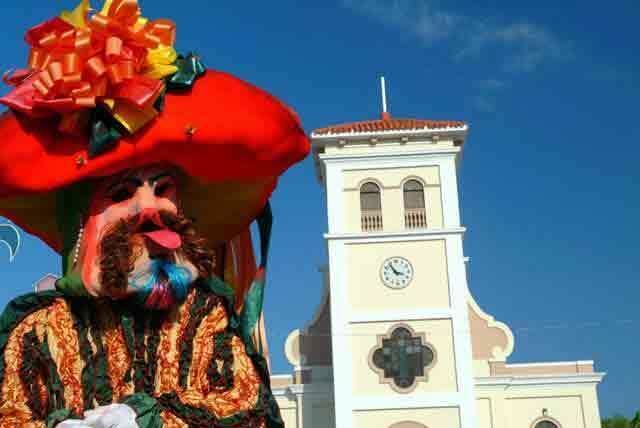 There is a Tradition each year on the 28th of December which is known as the Máscaras (Masks) of Hatillo. 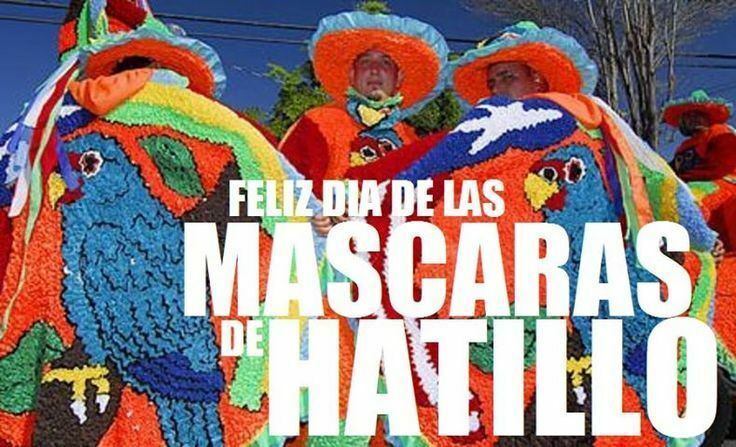 This Tradition dates back to 1823, when the town of Hatillo was founded. This Tradition came with settlers from the Canary Islands. The meaning of this tradition is the Holy Innocents, or Santos Inocentes: the first martyrs of Christian faith from Matthew's story in which small children were killed by Herod in an unsuccessful attempt to kill Jesus. It is a very special day with lots of fun and a large meeting of Mascaras: masked men and women of all ages, who wear costumes according to tradition, typically covered from head to toe, and parade through their town and nearby towns all day, making jokes and having fun, followed by a large multiple, and celebrated procession through all the town and nearby town's neighborhoods, and ending at the Hatillo town center. It is a multi-dynamic and wonderful experience for everyone in Hatillo and nearby towns. This special tradition came from the Canary Islands, the main place from Spain where the Hatillo, Camuy, and nearby town's Spanish immigrants arrived, mainly in the 1800s. 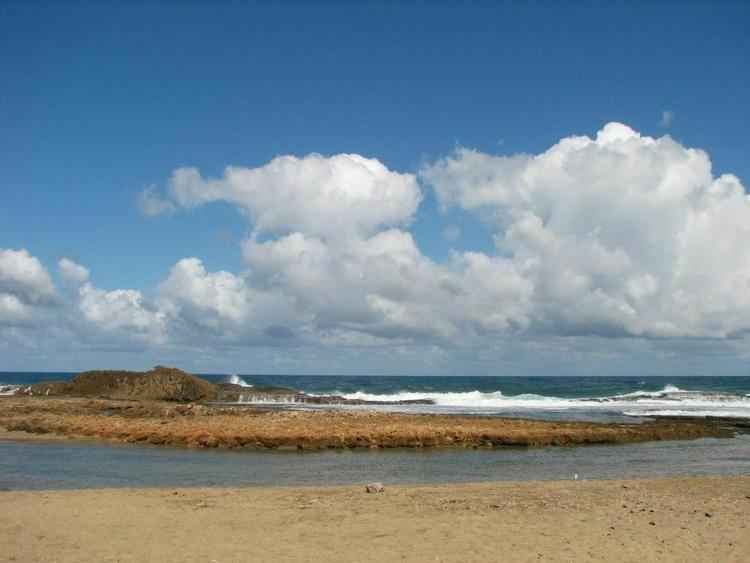 Many of the native people of Hatillo, Camuy, Arecibo, and several nearby towns are proud to call themselves "Isleños", or people descendant from the Canary Island's immigrants. The transportation to the events was traditionally on horseback, with still a few still doing it today, however, in more modern events the Jeep (carefully decorated to match the riders colors and costumes) and the "Carroza" (a homemade long cart with a long crankshaft and wheel, equally decorated) are used. You can usually see groups of riders that can be a few dozen to groups of 100+ marching all around the town with their "carrozas" equipped with loud speakers, air horns, bright lights and typical music playing. They make frequent stops at homes and stores making pranks and asking for "offerings". Usually food, drinks or money. Usually around mid-day the groups of riders (Usually with names that start with "Los" [name] Ex. Los Conservadores MEANING The Conservatives) head themselves to the center of the town for a parade and an award ceremony for best outfit, best sound, best "carroza" and others. With the occasional friendly wrestling with opposing groups. Rules are first man pinned or dog pile as well everyone must drink to show the opposing team respect and new found camaraderie. The flag consists of three broad stripes - Blue, Yellow and Green. Blue represents the sea, yellow represents the material and artistic wealth of the town, and green represents the vegetation of its fields in all its territorial extension. Coat of Arms On top of the shield is a gold crown with three towers over a silver field a Custard Apple tree (annona reticulata) and a field with two cows in gold which is over eight blue and silver-plated waves. At the center is a shield of "La Orden del Carmen". Under the shield the motto is inscribed, Hatillo Del Corazón.